Priscilla Lovat Fraser, a senior architect and project manager at the Los Angeles County Museum of Art (LACMA), has been named director of the MAK Center for Art and Architecture in West Hollywood. She will assume the position on Jan. 2. Fraser replaces Kimberli Meyer, the longtime director of MAK, who left to become director of the University Art Museum at CalState Long Beach. MAK Los Angeles, whose headquarters is the Rudolph Schindler House at 835 N. Kings Rd. is a branch of the MAK — the Museum für angewandte Kunst Wien (MAK), the Austrian Museum of Applied Arts / Contemporary Art in Vienna. 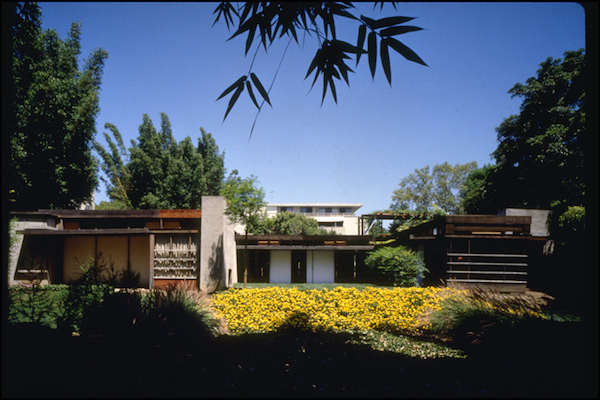 MAK Los Angeles was created in 1994 when Friends of the Schindler House agreed to lease the home of the famous architect property to MAK whose programming and exhibits are focused on the relationship between art and architecture. MAK Center also sponsors residencies for art and architecture students, who live in the Schindler-designed Mackey Apartments in Los Angeles. The Schindler House is open to the public from 11 a.m. Wednesday to Sunday and for tours on weekends. “We have no doubt that Priscilla will embrace the mission of the MAK Center and expand it ambitiously,” said Christoph Thun-Hohenstein, artistic director of MAK. According to the Architects Newspaper, a trade journal, Fraser has been involved in architect Peter Zumthor’s proposal for expanding LACMA, which would require demolition of the existing LACMA building, which was designed bhy William Pereira. She also provided exhibition design for Chris Burden’s Metropolis II installation and the exhibition James Turrell: A Retrospective. Fraser has served as the director of exhibitions and publications at Steven Holl Architects and worked under Barry Bergdoll in the Architecture Department of the Museum of Modern Art.